No code needed. 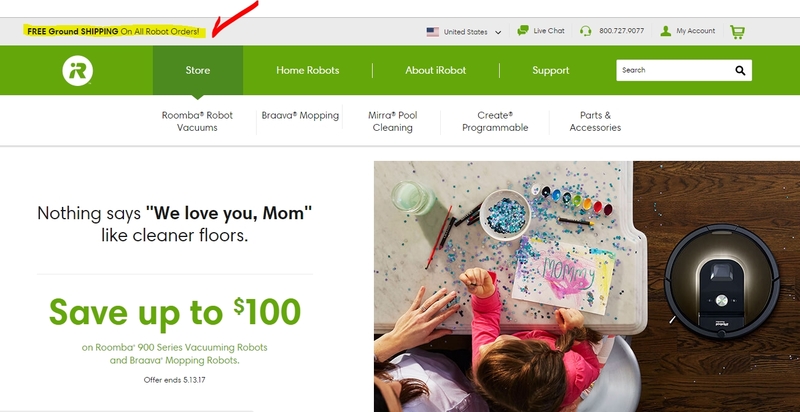 Click the button to redeem your discount at irobot.com. Ongoing deal, never expires. Last validated 1y ago . Used 79 times. 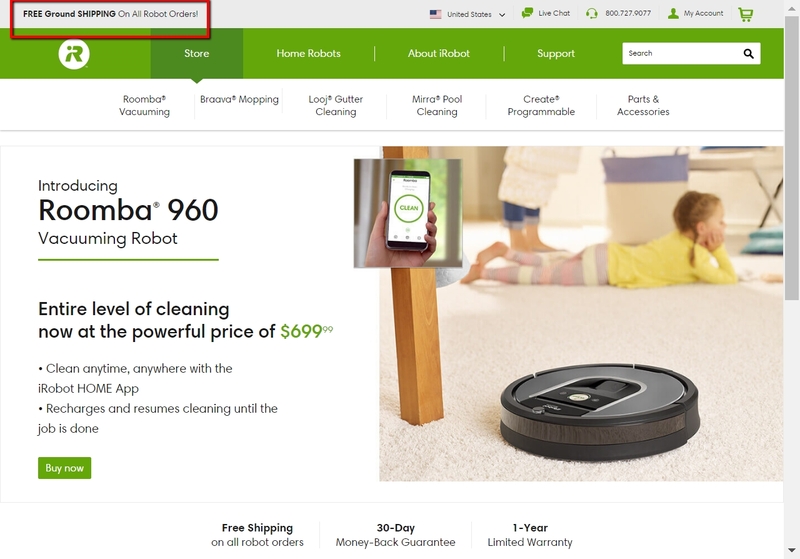 Sandy This offer is valid and working as described the shop, select your favorite product and Get Free Ground Shipping on All Robot Orders at iRobot. 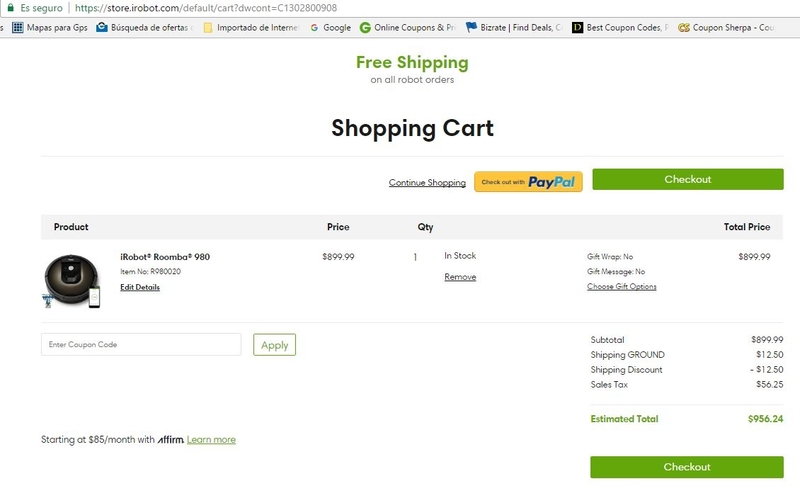 review your order below, and then click the 'Place Order' button to process your order Enjoy your purchase.